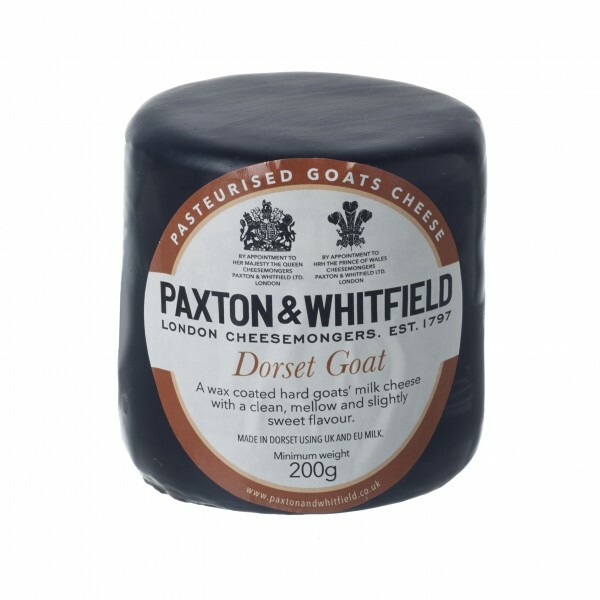 A wax coated goats cheese with a clean, mellow and slightly sweet flavour. It has a clean, mellow and slightly sweet flavour and a smooth, firm texture. This cheese is coated in wax which is not only attractive but extends the shelf life in the absence of oxygen. This, coupled with its convenient size, makes it ideal as a gift on its own or for including in a gourmet hamper.